If we take sixteen of the blue squares we can fill the frame below. What if we used the green circles? What is the largest number of circles we can fit into the frame without them overlapping? 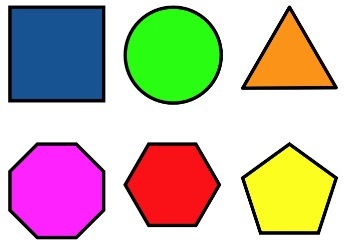 What is the largest number of each of these you can fit into the frame? You may like to make some predictions before trying out your ideas. You can print the frame and the shapes here. Addition & subtraction. Tangram. Interactivities. Compound transformations. Making and testing hypotheses. Area - squares and rectangles. Visualising. Working systematically. Practical Activity. Investigations.